Niagara Falls is brimming with natural beauty and if you’re visiting the city this summer, make sure to check out these incredible spots to connect with nature and learn about the region’s natural history. The Niagara Glen Nature Centre, located along the Niagara Parkway in Niagara on the Lake, is a newly refurbished building that serves as an information centre for all Niagara Glen activities and trails. The centre features the educational Nature Exchange exhibit where you can learn about the Glen’s beautiful and fascinating flora and fauna and offers guided hiking tours with Niagara Parks naturalists. 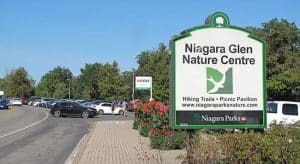 Stop by the Niagara Glen Nature Centre before heading on your Niagara Glen adventure and get all of the information you need about this remarkable area. Located on River Road overlooking the Horseshoe, Bridal Veil, and American Falls, Oakes Garden Theatre is a magnificent outdoor area featuring an amphitheatre, lush gardens, tranquil lily ponds, and beautiful flower displays. It was built in 1937 and is centrally located across the street from the Sheraton on the Falls hotel so that you can easily take a stroll through this serene natural area when entering the amazing Queen Victoria Park. Sitting high on the Niagara Escarpment, Queenston Heights is an expansive and historic park that is home to the Sir Isaac Brock and Laura Secord monuments, as well as beautiful gardens, a children’s splash pad, bandshell, tennis courts, picnic areas, playground, and the beautiful Queenston Heights Restaurant. It is a great place to spend a relaxing afternoon outdoors and to connect with the rich and fascinating history of the Niagara Region. 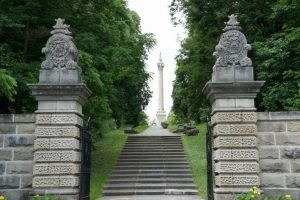 Just a short distance down the street from the thundering Horseshoe Falls, Dufferin Islands is an amazing outdoor area made up of a number of small and secluded islands. The islands are all connected by footbridges and you can explore and picnic in a number of spots throughout the area’s 10 acres. And even though it’s open year round and is a beautiful summer spot to explore, make sure to also check out Dufferin Islands in November and December when it is lit up by the twinkling Winter Festival of Lights displays. If you are looking to have some fun doing an outdoor activity in Niagara Falls, then geocaching offers the perfect chance to do so. Geocaching is a popular activity that involves finding hidden containers using GPS systems. There are a number of great geocaches to find throughout Niagara and summer is an ideal time to start hunting them down. Just a short walk away from the Horseshoe Falls, the Floral Showhouse is a beautiful destination where you can take in the sights and smells of tropical plants, flowers, succulents, and more. The showhouse puts on seasonal shows that are truly spectacular and is a lush oasis where you can walk around or relax on a bench. If you take a small journey to the edge of the Niagara River you will find Old Fort Erie where you can step back into history and learn about the War of 1812. 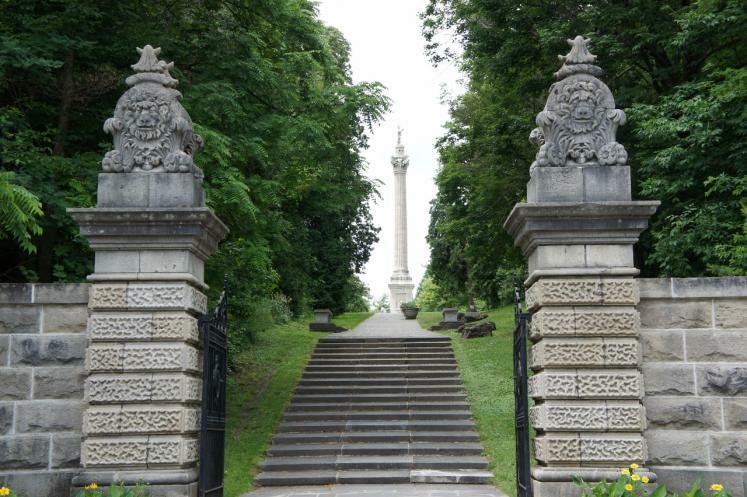 You can take a tour of this National Historic Site alongside costumed British, American, and First Nations soldiers, take in live musket demonstrations, and learn about the very important role that the Niagara Region played in the War of 1812.